Fair Winds Press, 9781592333745, 304pp. Inside you’ll be treated to practically limitless recipe and menu ideas, making it easy to satisfy any and all palates and preferences. From romantic meals for two to formal dinners, casual gatherings, children’s parties, and holiday feasts, you can keep the party going through every occasion and season. 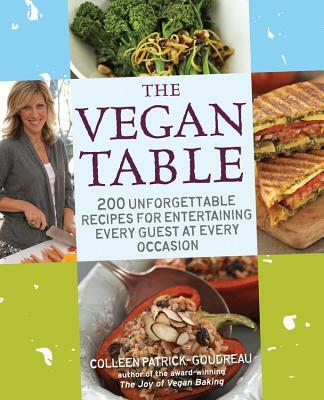 Celebrate the joy of plant-based cuisine with The Vegan Table, your ultimate at-home dining and entertaining guide.